Novelties Milan 2003, Trays is a collection of tables and shelves. 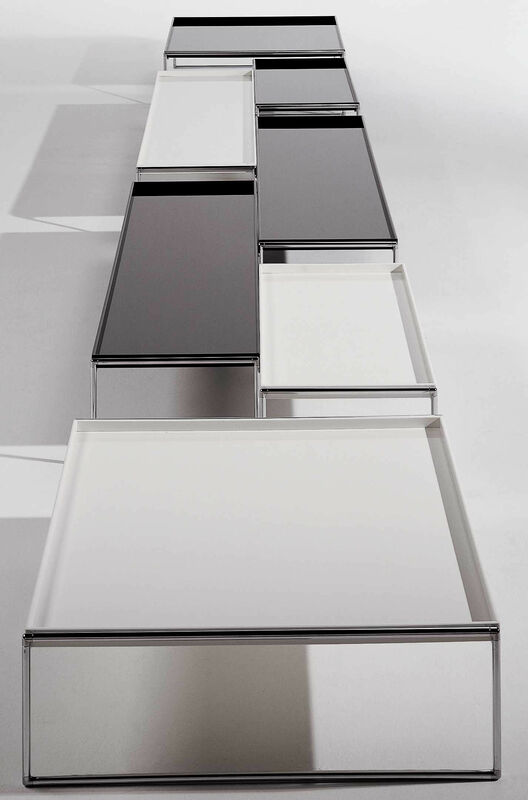 The trays realized in a very sophisticated methacrylate, bright black or white, suggest lacquered japanese. The chromed steel structure is worked with lightness. 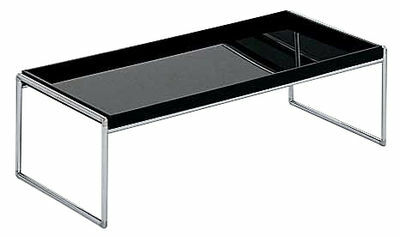 A very pure and elegant design signed Piero Lissoni. 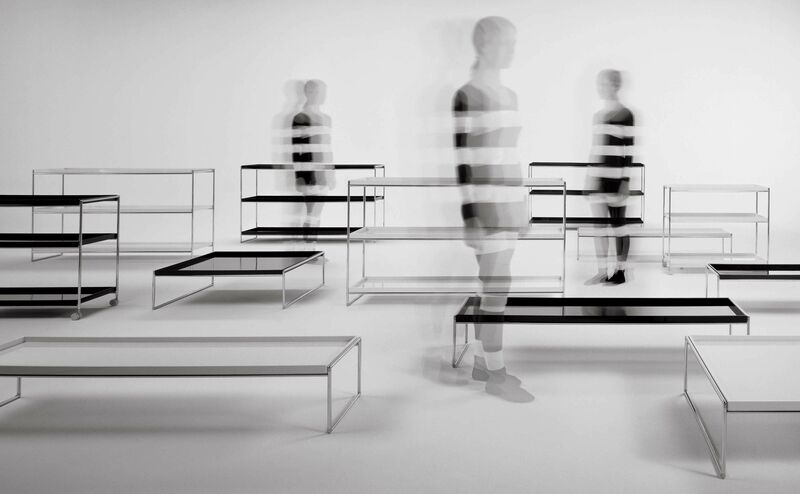 Coffee tables are proposed in 3 different dimensions.